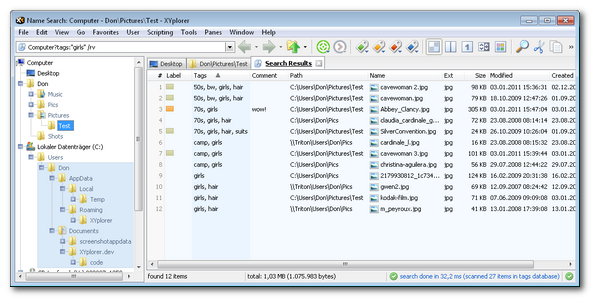 Beginning with version 9.90 XYplorer offers tagging as a radically new approach to file management and alternative to the hierarchical tree-based file management. 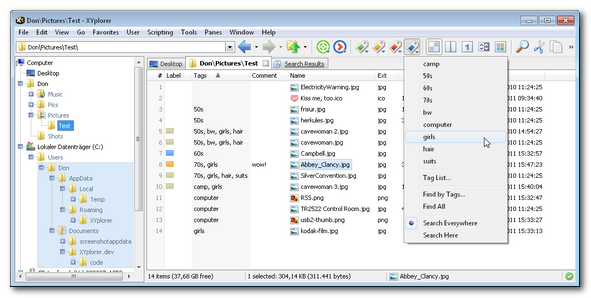 You can assign any number of tags to any file or folder. Yes, any file, not just media files. 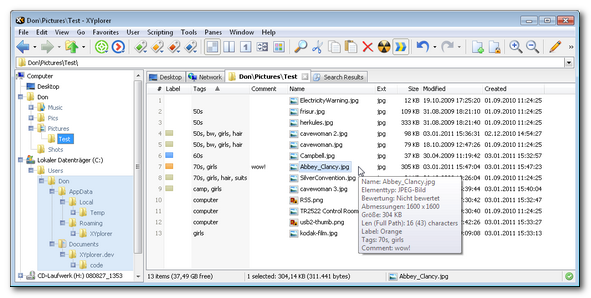 From v11.00 onwards the Info Panel (F12) features a Tags tab providing an intuitive all-in-one interface to adding, editing, and viewing the tags (Labels, Tags, and Comments). The complete search (over the whole computer!) took 32 milliseconds. Not bad. 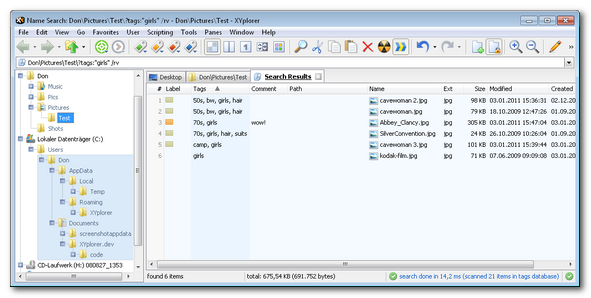 The tags are stored in a database file named "tag.dat" located in the application data folder. This file is a normal text file (UTF-16LE encoded) which contains all data in an open, simple, and human-friendly format. You can open it in any text editor to check or even manually edit its contents. This makes it future-safe and accessible to other applications. This page has been written 2011-01-04. The screenshots don’t reflect the current look of the application. Some of the functionality might have been changed or enhanced in the current version.